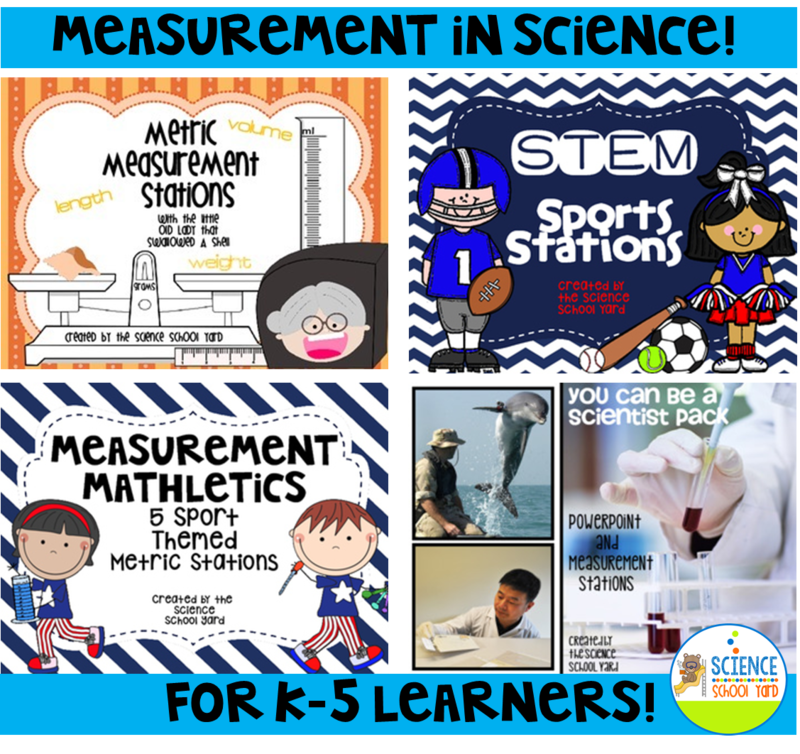 At the beginning of each school year I like to make sure that my students are ready for using science tools by creating and sharing Science Center's geared around measurement. Not only does that help them understand how to measure, but it also will help them get ready for each of our FOSS kits that require them to measure with a variety of tools! For my older students, I focus on the tools that will allow them to measure capacity such as syringes, measuring cups, and graduated cylinders. We focus on helping them measure length, width, and height with a ruler, tape measure, and meter stick. Finally, we focus on mass or weight using a scale and a balance. Measuring the weight of something can be as easy as using cubes or as complicated as using grams. 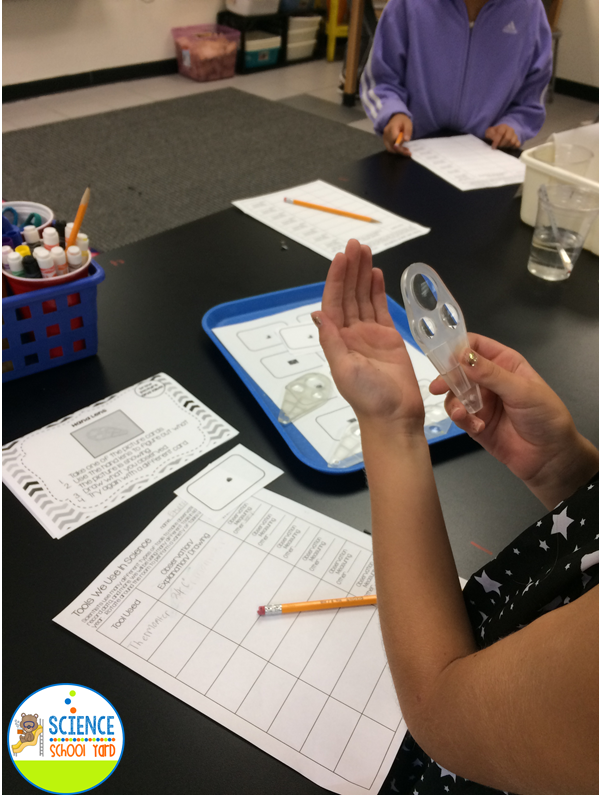 With my younger scientists, I focus on learning how to use a hand lens properly, how a balance balances and how can we fill capacity tools to a given line. Depending on the grade, the more I use a variety of tools that get them working hands-on. We also focus on the universal way to measure things in science which is the metric system. That means working with centimeters ... grams... and milliliters! If you need to focus on Customary Standard Unit, do what is necessary for you. I use the metric system in our science room in all of my classes kindergarten through 5th grade. What I love most about starting our school year off with measurement stations in science is that I can have my kindergarten through 5th graders be able to do Hands-On activities! 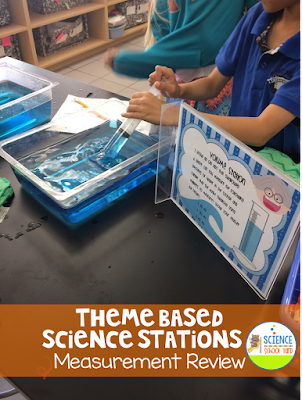 To get them started on the right track when we start our experiments is critical to saving valuable time especially when it is hard enough to fit science into a busy school day for my dear teacher friends. 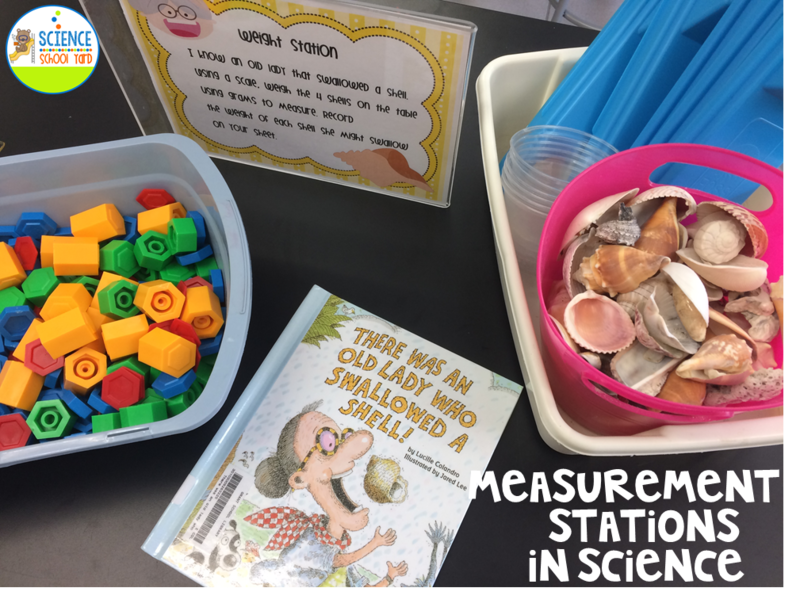 I want to share with you ways to to be able to set up stations so that you too can add measurement into your science lesson time making science child's play! Themed Stations Are the Way to Go! It doesn't matter if it's kindergarten through fifth-grade you can set out tools and station cards and then go from station to station with guiding them on how to use the tools then you can release them to be able to try using those tools on their own. Finding a theme in measurement is a great way to get them excited about doing something that isn't always easy for them. We don't spend a ton of time on measurement so this is another way to tie science and math together. From Measurement Olympics to I Know an Old Lady Who Swallowed a Shell which I use...creating themes allows those kiddos to be able to be excited as they learn the tools along the way. I have them show me what they know. With the stations in place it also allows me to walk around the room and help students that are having a difficult time. While others are busy, I can reteach and support struggling students. So grab those hand lenses... those balances and scales...a handful of rulers and even those syringes as well as timers and you are set to go. 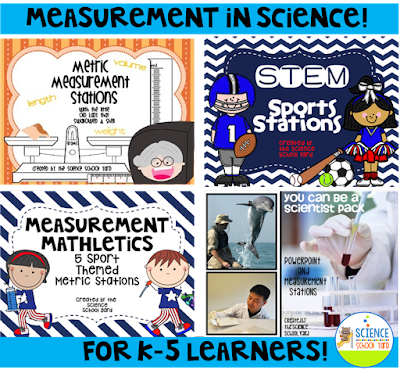 If you want to save time setting them up, grab these Science Measurement Review Packs!